I absolutely love to teach, and am happy to accept pupils of all ages and abilities. I offer private lessons in person as well as online using Skype/Facetime/your videochat link choice. I also teach group workshops, and have taught a variety of courses (from beginner-oriented 'hands on harp' days to jazz arranging for the harp) for organisations such as the Clarsach Society and Harps North West, as well as in conjunction with the Early Music Shop. Contrary to popular belief, the harp is not a particularly difficult instrument to play - like anything, it's simply a matter of practise. It also has the advantage of sounding beautiful right from the start! I use a variety of methods according to the needs of the pupil, with a focus on being able to produce 'real' music (as opposed to exercises alone) from the start (way more fun that way!). I teach both by ear and using printed music, although at first I strongly encourage aural learning to enable the student to focus on technique and the sound that they are producing, before introducing printed music and theory where necessary. 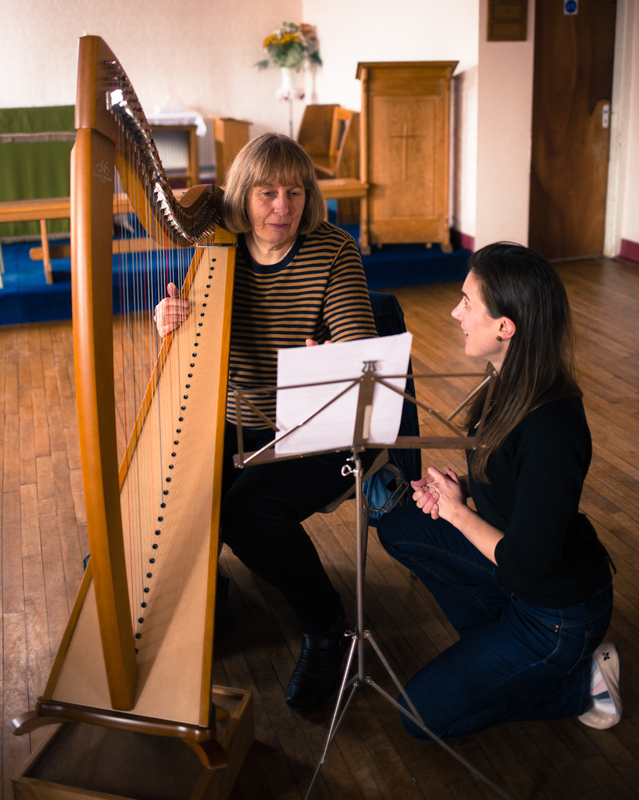 Please see the FAQs for more detailed information on learning and choosing a harp!